When you walk through the streets of the capital, the bright, friendly hustle and bustle look innocent enough. However, London is more than just a cultural centre – it’s one of the most politically important cities in the world. It hides as many secrets as there are nooks and crannies in its sprawling urban jungle. It’s no wonder, then, that the city has a long, mysterious history of espionage and spying. James Bond and MI6, scandals, secrets and the Cold War – so many stories have been told about the spies of London. Many of them are true, whilst many more are works of the imagination. And yet for all these stories, there are so many more that never have and never will come to light – buried deep in the files of MI6. Enter this cryptic world with us as we explore some of London’s most fascinating spy locations. Bond fans will know the facade of this fascinating building well as it’s featured in five of the series’ most popular instalments. More than just a film location, though, the building is actually the real-life headquarters of London’s MI6 – the Secret Intelligence Service (SIS) Building. Nicknamed ‘Legoland’ by its occupants, the SIS Building is surprisingly conspicuous for one of the most top-secret locations in the world. However, one can only guess at the sort of clandestine operations that go on here. It’s a must-visit for espionage fans. This simple bridge over the River Thames is, in fact, the scene of one of the city’s saddest and most notorious assassinations. Georgi Markov was a Bulgarian writer and outspoken opponent of the Communist regime in his native country. He defected from Bulgaria to the UK in 1968 and went to work for the BBC World Service as a political correspondent. In 1978, he was waiting for a bus by Waterloo Bridge when a stranger dropped an umbrella next to him. Markov felt a sharp pain in his leg but thought little of the event. It wasn’t until a few days later that doctors realised he had been poisoned with ricin using a purpose-built pellet injection. He died in hospital on the 11th of September. 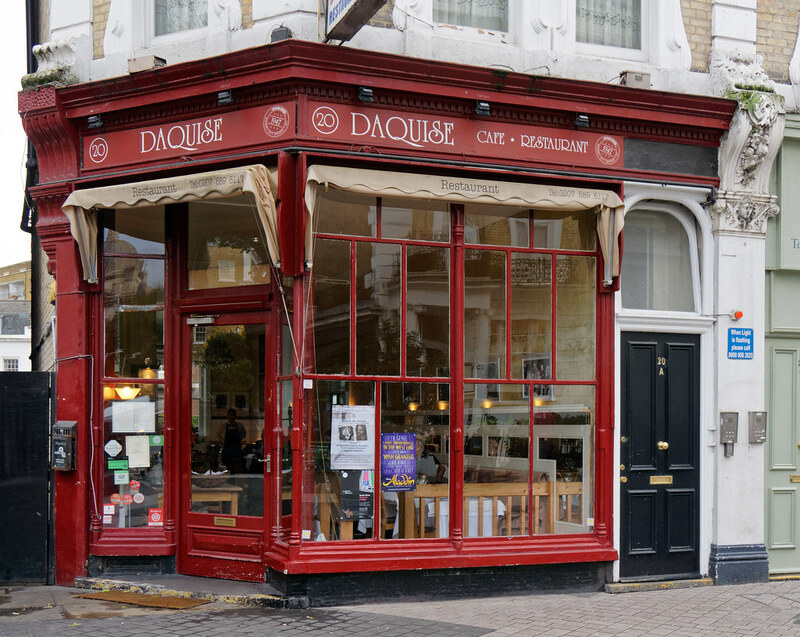 This quaint little cafe is the perfect place to sample some of London’s international cuisine. However, to Espionage fans, it’s one of the most exciting spots on any spy tour of London. The Polish cafe/restaurant was the unofficial headquarters of Edward Raczynski – the Polish president exiled by Communism in 1979. It’s also well-known as a key location in the Profumo Affair, where a British state official became involved with a possible Soviet spy. Dead-letter drops used to be a staple of the espionage game. Spies would leave dubious documents or film reels in secret locations around London so that they may be picked up by friendly intelligence operatives. The capital is full of such locations, but none is more infamous than the Brompton Oratory. Spies were instructed to leave their stolen packages inside the Oratory behind one of its many pillars to be collected later by agents. Rumour has it that if a spy was followed, they were instructed to duck into the Harrod’s department store and use its many exits to escape undetected. Although this isn’t a real spy location, we thought it would be of interest to the many fans of John Le Carre’s famous Karla Trilogy. It was used as a filming location on the academy-award-winning movie Tinker, Tailor, Soldier, Spy, perfectly capturing the atmosphere of the era’s clandestine activity. Take a camera and have a secret meeting of your own! Discover Evan Evans fantastic new spy and espionage tour. Discover the real-life sites used as the headquarters for British intelligence agencies, hear fascinating tales of treachery, tragedy and subterfuge and join our expert guide as they shine a light on some of the city’s darkest mysteries. Evan Evans is the oldest and largest sightseeing company in London and has been accompanying visitors on city tours and out-of-town excursions since 1930. Our exciting range of tours brings you the best Britain has to offer, from majestic palaces and castles and quaint country villages to the historic cities of Bath, Oxford and Canterbury. Evan Evans provides unforgettable journeys and experiences to Britain’s most iconic locations. Journey deep into the heart of Britain’s incredible history, culture and legends on a guided tour with London’s longest-running tour operator.